FTIR is a spectroscopy technique that is typically used to determine the functional structure of organic chemicals. Using this technique, samples are analyzed with a broad frequency spectrum of infra-red light. This beam spans the energies of most vibrations that occur in organic molecules. Structural information about the chemical bonds is derived from analyzing the patterns of wavelengths absorbed by the sample. When exposed to the infrared light spectrum a sample’s molecules selectively absorb radiation of specific wavelengths that correspond to vibrational excitation modes specific to the sample’s structure. Analysis of the spectrum created by these selective absorptions allows for a fingerprint of the materials present in a sample to be determined – allowing for a qualitative identification of different classes of materials, or with standards, a means for quantitative analysis of a single, known compound. Identification and analysis can be done on a wide range of materials from solids and powders to liquids. Trace measurement of contaminants can be analyzed using special preparation techniques. 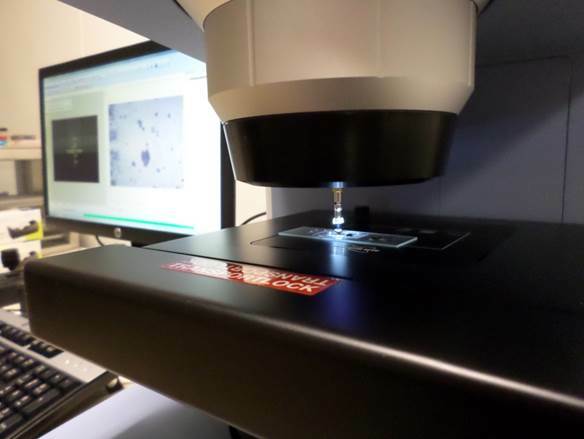 Samples or contaminants as small as 5 microns can be analyzed through the use of an ATR crystal attached to a microscope. Spectral mapping can be used on larger areas to determine the distribution of compounds, consistency of composition, or to chart alterations to a material in layers or in a mixture. 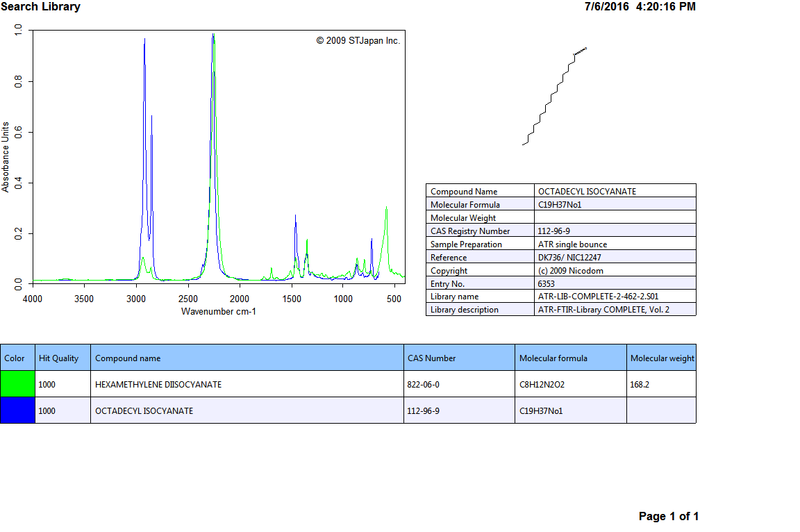 FTIR is a useful investigative analytical technique frequently employed on unknown samples or when it is critical to trace contamination or changes in sample composition.